We all know that when it comes to holidays and travel, Fethiye is very much associated with sunshine, hot weather and the great outdoors. Indeed, when you see various tips about how to entertain yourself whilst you’re in Fethiye, most of these tips will take you off to local beaches, up into the mountains, off on a Blue Bays boat trip or a Göcek boat trip, to name just a few. And that’s all just great isn’t it; you don’t need us to tell you we’re big advocates of those types of activities in Fethiye, ourselves. But Fethiye’s a real place in the real world. And, even in early or late summer months, as well as autumn and winter, reality can jump right out at us and remind us that the sunshine isn’t a permanent fixture. Yes, that’s the time when we’re reminded that there is rain in Fethiye, too. Fancy that! We’ve written in the past about Fethiye museum so we’ll not repeat ourselves here. Although it’s not the biggest museum in the world (believe us, it’s not the biggest museum in Turkey, either) it’s a really interesting place and will keep you occupied for a while if there is rain in Fethiye. If you’ve visited, or are thinking about visiting, places like Xanthos or Letoon, you’ll find artefacts from those places here amongst others. As Xanthos and Letoon are on Turkey’s UNESCO World Heritage List, it’s great that some of the sites’ artefacts are housed here. 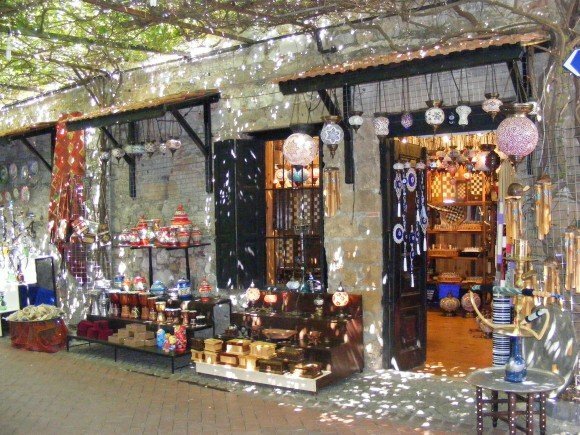 Erasta is Fethiye’s only shopping centre. And, although we’re not generally shopping centre people, we did have to acknowledge that it’s a decent place to come to when you’re stuck in Fethiye in the rain. Shopping, eating and coffee shops as well as an ‘amusement centre’ where you can do a bit of ten pin bowling or play pool. And there’s other ‘machinery’ in there, too. We know not what they are or what they do but they are no doubt various games designed to keep all occupied. The hamam, aka the Turkish bath, is all about cleansing the skin. It is great for developing your suntan afterwards, too, if you’re that way inclined. Rain in Fethiye can be seen as a positive, here. Why not use your rainy day to sit in the steam room and get a good old scrub down and massage? 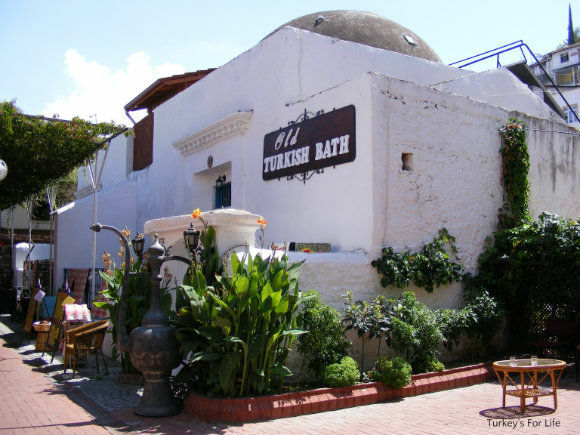 There are lots of ‘Turkish baths‘ all over the Fethiye area. And no shortage of adverts around town, telling you where they are. So you can take your pick. We’ve been to the Old Turkish Bath in Paspatur (many moons ago) but lots of Fethiye hotels have hamams, too. This is purely a suggestion, because, dear reader, I am not a pamper person. However, lots of our friends love a good pampering session. These days, as well as the hamam, Fethiye has loads of places where you can go for spa treatments, massages of various types, facials, manicures and pedicures. You get the drift. Compared to the UK, prices for these types of treatments are very reasonable. So Fethiye in the rain doesn’t necessarily have to cost you a fortune. This doesn’t happen all the time, but, occasionally, Hayal Cinema in Fethiye town centre shows English language films. The place was packed out a few years ago when the James Bond film, Skyfall, was shown there! So, if it’s raining in Fethiye, a tub of popcorn and a good film could sort you out for a couple of hours or so. This is a good one for if you’ve come on holiday to Turkey and you’ve rented a villa or an apartment. You’ve been to your local market and stocked up on your fruit and veg and other goodies. So, if it’s raining in Fethiye, you could always take the opportunity to have a day pottering about in your apartment and preparing lots of Turkish dishes. Yeah, we know there are loads of ways to enjoy Turkish food. But we’re not referring to street food on the go or quick kebab stops. No, if you’re in Fethiye in the rain and it looks like that rain is set in for a while, take yourself off to a Turkish restaurant and eat at leisurely pace, taking your time over a selection of meze. We recently had seafood meze at Denizatı Restaurant along the harbour. We were there all evening as each dish was brought out, one after the other over a period of time. Fethiye town centre has lots of restaurants that serve hot and cold meze where you can just keep choosing from the selections on offer. Alternatively, what about going for a barbecue? A barbecue in the rain? Well, Fethiye does like to do things differently. Take yourself off up to Kayaköy and go to to Cin Bal for an indoor barbecue! Order too many meze, a bit of fabulous lamb tandır. Then as much meat as you can handle for the barbecue. Paspatur is Fethiye’s old town. And, while you might need an umbrella for wandering along some of the streets, these days, a lot of them are covered so that you can still enjoy shopping at leisure. Yes, we’ll always be biased about Paspatur but it is a perfect area for surviving Fethiye in the rain. You can get all your souvenir shopping done in Paspatur. There are some great clothes and jewellery shops around here. And, once you’re all shopped out, pick up a snack at Yengen, for example, or have a sit down meal. Of course, you’re gonna get thirsty, too, and rain in Fethiye doesn’t mean you need to get wet. These days, Hamam Sokak – home to Deep Blue Bar, Car Cemetery and the like is covered, too. This area of Fethiye even has its very own colourful umbrella street! So let the rain pour, sit back and enjoy your refreshments! Yeah, if there’s rain in Fethiye and you’re quite partial to getting yourself comfortable in a bar, well, wherever you are in the area, there’s never any shortage of bars for you to settle yourself into. If it’s not raining too hard, bars with a view are worth hunting out. The very top photo in this blogpost is the view from Cafe Park Teras. 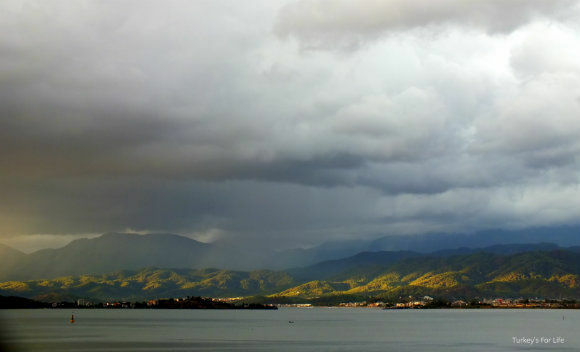 After rain in Fethiye, you often get dramatic views over the mountains. Especially when the sun breaks through and accentuates the lush greenery on the hillsides. And, the photo right above is a view from El Camino Bar during a Fethiye downpour. The boats from the day trips were returning to the harbour en masse. 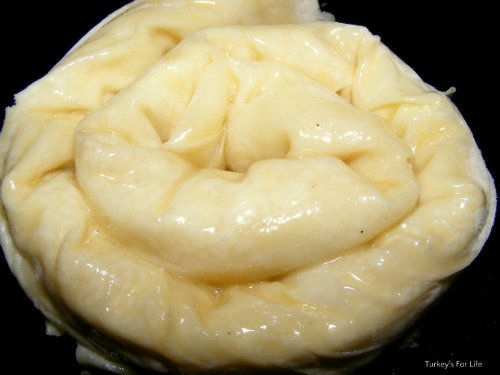 Is it absolutely ouring down and you don’t want to venture out, at all? Well, why not just curl up on the sofa with a good book? 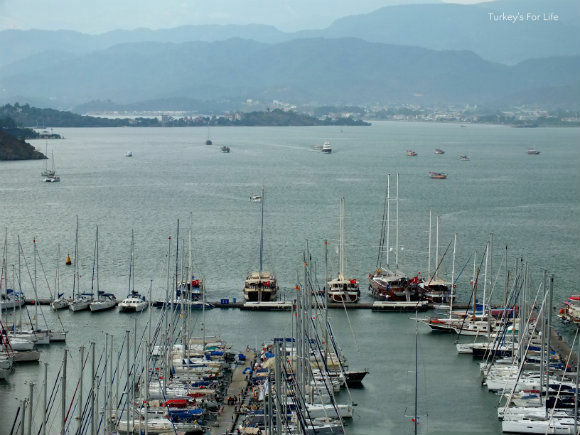 So, that’s it – a few tips of what to do if there’s rain in Fethiye. Have we missed anything out? If you’ve been caught out in the rain in Fethiye and came up with a great way to spend your day, we’d love to know what you did! Let us know in the comments below. What a great list. People always think that holiday destinations are blessed with eternal sunshine, but it’s a good idea to be prepared for any scenario. And I love the barfly suggestion – as long as it does keep raining for days:).